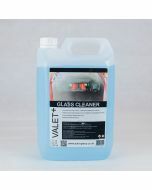 Vision a very effective exterior glass cleaner but it also applies water beading technology to your glass at the time of cleaning in one simple step. There’s one thing that the UK has too much of, Rain! It is important that your vehicle can cope with the typical British weather and we want to help you with that. 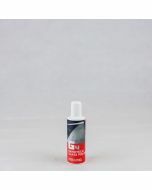 We introduce to you, Vision Water Repellent Glass Cleaner! Not only is Vision a very effective exterior glass cleaner but it also applies water beading technology to your glass at the time of cleaning in one simple step. 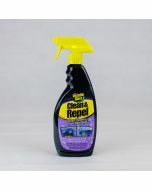 The complex combination of chemicals within Vision Water Repellent Glass Cleaner ensures that every day road grime is rapidly removed with ease as expected from a premium glass cleaner. The unique water beading technology within Vision bonds directly to the glass causing water to form into droplets and roll off the surface. This helps reduce the need to use windscreen wipers whilst the vehicle is in motion. Water simply rolls off the surface and leaves you with a perfect Vision of the road ahead. 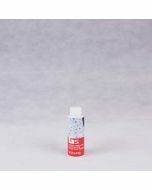 Vision Water Repellent Glass Cleaner is remarkably easy to apply, it does not require any special pre cleaning or surface preperation, just spray and wipe. The effects can last several weeks with simple reapplication to even a wet surface. It also helps to reduce insects and grime sticking to the glass’ surface. Vision can also be used as a screen wash additive at a dilution of 20% to help prolong the water beading effect. 1 Spray directly to the glass surface in an even mist. 4 Vision does not require any special surface preparation and can be applied to a wet/dirty surface and water beading will still occur.